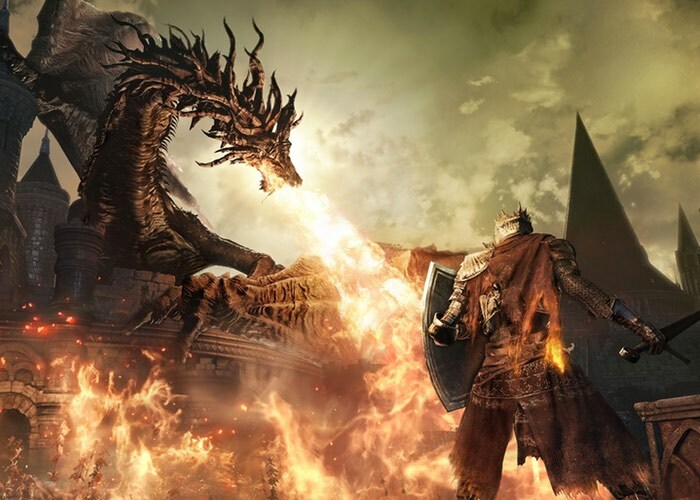 This week Bandai Namco has announced that the latest game in the Dark Soul saga, Dark Souls III has been the fastest selling game in the series and the company has revealed that it is shipped over 3 million copies worldwide since the game’s launch back in March 2016. Dark Souls III originally launched on March 24th in Japan and then later on April 12th in other markets worldwide. This week Bandai Namco and its financial statements that the company has shipped over 13 million units across all the Dark Games. Explaining that for the latest Dark Souls III title shipped 1.5 million to the US, 1 million throughout Europe and the remaining 500,000 throughout Japan. Dark Souls III Is available to play on Xbox One, PlayStation 4 and PC. Set in the Kingdom of Lothric, an undead warrior known as the Ashen One is tasked to avert an oncoming apocalypse brought about by the ongoing conflict between Light and Dark. But the only means to avert this event is with the destruction of the Lords of Cinder, previous heroes who have linked the First Flame across eons. To read the full Bandai Namco financial report jump over to the official website.